Chicken pox, an infection caused by the varicella-zoster virus, is quite common in children. It is a mild infection that is typically accompanied by an itchy and peculiar skin rash of red spots. Other chicken pox symptoms include low-grade fever, a sore throat, stomach aches, headaches, and malaise. Chicken pox in babies is rare, but when it does occur, it cause much discomfort and can even lead to complications like pneumonia. Chicken pox in babies is quite unusual because they are equipped with the antibodies they receive from their mother’s womb during pregnancy. These antibodies are present in them until they turn a year old and in the meantime, they protect them from chicken pox. Exceptions may occur in some cases, causing a baby to acquire the chicken pox infection. Use these telltale signs of chicken pox in babies to see if your child has this condition. Chicken pox first appears usually after 14 to 21 days of the viral attack and manifests as a skin rash of small red spots and bumps. These spots show up first on the face, head, and the back, and then quickly spread all over the body. New rashes might continue developing every 4 to 5 days. Each red spot quickly turns into a blister filled with a cloudy liquid. These blisters are dreadfully itchy and a baby experiences great discomfort when they appear. The baby cannot keep itself from scratching these blisters. Touching the liquid from a blister that bursts will spread the disease and could also lead to bacterial infections. As a result, if your baby has chicken pox, you must intervene to ensure that he does not accidentally touch the liquid inside the blisters on his skin. Eventually, the blisters dry up and form hard crusts that scab over and fall off. At this point, when the liquid has leaked out of the blisters and the spots have developed into scabs, the skin begins to clear. The progression of the spots from bumps to blisters to crusts happens quickly and the baby might have a mix of all three types during the illness. The infant is contagious starting the day before the fever or when the spots appear to the time at least 24 hours have elapsed after all the blisters have crusted over. This usually takes about 7 days from beginning to end. Small scars may remain after the scabs have fallen off, but they usually clear up within a few months. The rash may be accompanied by flu-like symptoms like fever (100°-102°F or 37.7°-38.8° C), abdominal pain, and headaches. The baby may also develop a cough and a runny nose. He may become tired and crabby, and lose his appetite. These symptoms sometimes begin to occur 2 days before the onset of the rash. 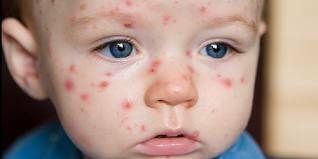 A baby who contracts chicken pox usually recovers without treatment, in a course of 5 to 10 days. Chicken pox turns out to be more of a nuisance than any real threat. But if the rash spreads to the eyes, the child will get very uncomfortable. In such cases, it becomes necessary to consult a pediatrician immediately get chicken pox treatment. Here are some other complications that may occur, especially in babies that are under 4 weeks old. The skin around the blisters may become very swollen, red, and painful. This is a sign of secondary bacterial infection in the blisters and it may develop at the sites where the baby has unwittingly scratched. This complication needs to be treated with antibiotics. If any blister begins to drain yellow pus or is over 10 mm in size, medical attention is required. Swelling of the brain due to encephalitis is another possible complication of chicken pox. It can lead to headaches, convulsions, vomiting, deafness, or brain damage. It occurs rarely (1–2 episodes per 10,000 varicella cases), but is the most serious complication of all. Chicken pox can also lead to the complication of pneumonia. Coughing and abnormally rapid breathing are usually indicative of this ailment. 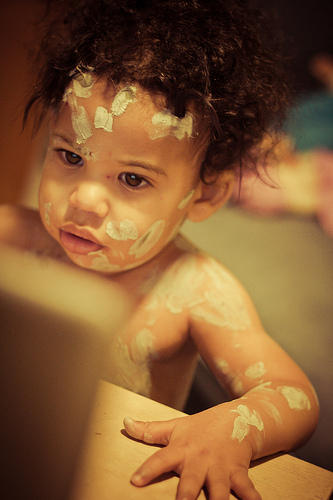 In cases of chicken pox in infants, doctors often recommend applying a soothing calamine lotion to help relieve the itching of the rash. Studies have shown that children with chicken pox recover better when fever is allowed to continue during this illness to a certain extent. For this reason, it is advisable that you treat the fever only if it’s higher than 101°C and your baby is very ill at ease. You can use Acetaminophen or Ibuprofen to treat the fever, but never use Aspirin or products containing aspirin, as their use to cure fever in children with chicken pox has been linked to a condition called Reye’s syndrome. This severe condition affects the liver and the brain, and in some cases, it even causes death. If your baby has been diagnosed with chicken pox by the pediatrician, you must keep him quarantined. Avoid sending him to the daycare or to play with other children. Learning as much as you can about chicken pox in babies can help you nurse your infant back to health if and when he has this infection. Chicken pox is a mild but highly contagious disease that mainly affects children and is characterized by exceptionally itchy blisters all over the body. The disease tends to be severe when it occurs in adults. Chicken pox is widely recognized as the primary chicken pox symptoms are easily visible. Chicken pox is a disease caused due to the chicken pox virus known as the varicella-zoster virus. Small red spots on the body, particularly on the face and chest, are the first chicken pox symptoms. The surest way of spotting the disease is by correctly recognizing the rash. 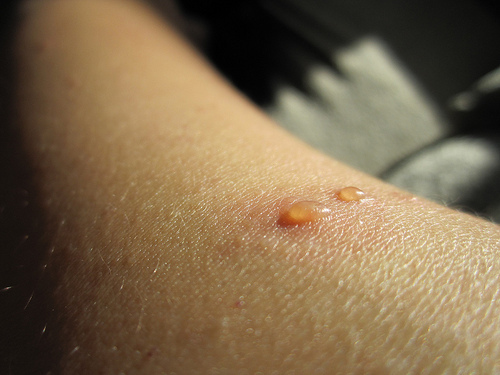 In the beginning, the rashes might be often mistaken for insect bites or even a bad case of acne. Here are five typical chicken pox symptoms that will help you identify the rashes accurately and quickly. Keeping your fingers from scratching might probably be the hardest part of chicken pox, and this is also the most easily recognizable among the chicken pox symptoms. Small red spots first show up on the face, chest, and upper back, usually about 10 to 21 days after you’ve been exposed to the disease. These spots develop an irregular outline, with a clear and thin-walled raised vesicle. They are often compared to dew drops on a rose petal, and this is a defining characteristic of the chicken pox rash. The initial red rashes later develop into blisters in 10 to 12 hours’ time. The blisters are filled with a cloudy liquid and may appear in the mouth, genital areas, and eyelids, in which case they are often painful. Most blisters heal without leaving scars unless they become infected with bacteria from scratching. These blisters go through a typical cycle of bursting, drying, and forming scabs.A scab is nothing but a hard crust formed where the blister once was, and these eventually fall off. The rash keeps going through this cycle, with new red spots appearing in clusters every 5 to 7 days. This is also why you might have all three types of the rash at the same time. Blisters are contagious till they dry up and start crusting. You must consult a doctor as soon as you spot a rash that resembles the description provided above. Keep in mind that during the initial stages, chicken pox symptoms can be mild and hard to detect. If you have been exposed to chicken pox causes, you must check yourself for symptoms and go get chicken pox treatment. Although chicken pox is a mild disease that usually runs its course in 5 to 10 days, withstanding this infection can be extremely uncomfortable. The itchy skin rash that develops along with the flu-like symptoms of this infection makes it quite an uneasy disease to get through. When an adult gets infected, the chicken pox symptoms are much more severe. Besides, it is very easy to catch this infection as it is highly contagious and the chicken pox virus is transmitted easily through air. That is why, in the case of chicken pox, prevention is truly better than cure, and the chicken pox vaccine is one of the most reliable methods of chicken pox prevention. The chicken pox vaccine is highly effective against the chicken pox virus. Does The Chicken Pox Vaccine Really Work? The chickenpox vaccine is very effective in protecting an individual from this disease – between 70% and 90% of people who get vaccinated end up being completely immune to chickenpox. A few people who receive the vaccination might still contract the disease, but with much milder symptoms. Studies have shown that in the case of children, when vaccination is carried out within three days of exposure to the infection, it is 90% effective in preventing the illness, while vaccination carried out within five days of exposure is 70% effective. The chicken pox vaccine is also called the Varicella vaccine, after the Varicella Zoster virus that causes this infection. The vaccine consists of a live but weakened strain of the Varicella-Zoster virus. When this is injected into a person, it is capable of creating an immune response, but is incapable of causing the disease. The first dose should be given when the child is between 12 and 15 months old. 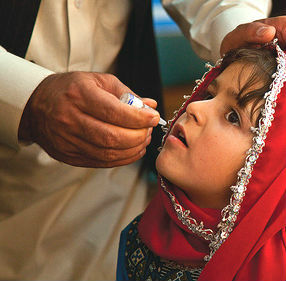 The second dose can be given before the child is 4-6 years old, as long as 3 months have passed since the first dose. Even adolescents and adults, those who didn’t get two doses of the vaccine when they were younger and who haven’t contracted the infection either, must get vaccinated against chicken pox. If you had chicken pox as a child, you needn’t get vaccinated because the body gets immunized on its own against the virus. If you are exposed to chicken pox, getting vaccinated right away within 72 to even 120 hours will prevent or greatly reduce your risk of contracting the infection. Who Should Not Be Given The Chicken Pox Vaccine? Pregnant women (If you have received the first dose of the vaccine, then you should wait for at least a month before planning a pregnancy). Those who are immuno-compromised i.e. those who have a weakened immune system because of conditions such as HIV/AIDS, organ transplants, cancer, or cancer therapy, should not opt for the chicken pox vaccine. Those who are taking aspirin or other salicylates as medication should not get the chicken pox vaccine. Aspirin consumption in children with viral illnesses like chicken pox has been linked to a potentially life-threatening condition called Reye’s syndrome. The chicken pox vaccine first became available for use in the U.S.A in 1995. Since then the vaccine has come to be widely used all across the world. Since 2005, it has been made part of a combination vaccine – MMRV vaccine – for protection against measles, mumps, rubella, and varicella. The World Health Organization strongly recommends the MMRV vaccine. Countries like the U.S.A, Germany, and Australia give tremendous importance to it, but in countries like India, the MMRV vaccine isn’t a part of the National Immunization Programme yet. It is available as an optional vaccine, though. Severe reactions like seizures are very rare, about 1 in 1000, but they may occur in children with a low platelet count. It is important to note that the link between these reactions and the vaccine hasn’t been thoroughly established. Pneumonia may occur in rare instances, and occasionally there are chances of anaphylaxis or a severe allergic reaction. Getting vaccinated is the best way to counter this troublesome infection. Keep yourself and your child free of this disease by ensuring that the chicken pox vaccine has been administered at the right time. 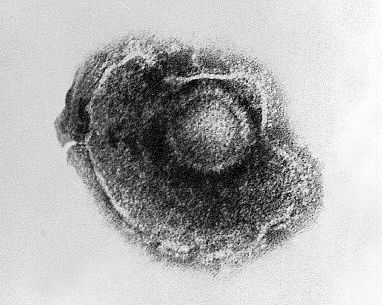 Chicken pox prevention targets what is considered to be a classic childhood disease caused by the Varicella-zoster virus. Chicken pox is very common, so much so that many think of it as a rite of passage in a child’s life! It is estimated that 9 out of 10 people have had chicken pox in their childhood. In most cases, getting chicken pox once means you will have lifelong immunity to the virus. Only in extremely rare cases will the individual contract chicken pox again. Vaccination is the most reliable way of preventing chicken pox. Chicken pox is a mild infection whose symptoms include an itchy skin rash, low-grade fever, a stomach ache, malaise, irritability, and a loss of appetite. Chicken pox symptoms remain the same in children and adults, but in the case of adults, they are more severe. This is an airborne infection, and spreads very quickly and easily through the coughs and sneezes of an infected person. Chicken pox can be prevented and controlled in different ways, some of which have been given below. Vaccination is the most reliable method of preventing chicken pox, as it is safe and effective. The chicken pox vaccine was approved for use in the United States of America in 1995. Studies show that from 1995 to 2005, the occurrence of this disease has decreased by 90% among children and adolescents, and Varicella-related hospitalizations also declined by 88%. The CDC or Center for Disease Control and Prevention recommends that 2 doses of the vaccine should be given to children, adolescents, and adults who have not had the disease before. Children should receive the first dose between 12 and 15 months of age, and the second dose between 4 to 6 years. Adolescents above 13 years and adults should get the 2 doses with a gap of 4 and 6 weeks between them. CDC also reports that 2 doses of the vaccine can be about 98% effective at preventing chicken pox. Most people who receive the vaccination don’t contract the disease. In rare instances, even if they do get chicken pox despite being vaccinated against it, the symptoms that appear are milder. If one of the members of a household has chicken pox, it will probably spread to other people in the the household who are not already immune. The infected person must get chicken pox treatment immediately. The infected person will be highly contagious till all the blisters and spots of the rash on the skin have crusted and fallen. That’s why isolating or quarantining an infected individual is essential for at least 5 days after the rash appears. Unfortunately though, an infected person can spread the virus before he even seems sick and starts showing symptoms. The infection becomes contagious about 2 days before the rash appears. When a person with chicken pox coughs or sneezes, the droplets can remain in the air for a while and later settle on the surfaces of nearby objects such as plates, glasses, toys, and clothes. For effective chicken pox prevention, it is very important that the objects used by an infected individual be well disinfected. But disinfection isn’t a reliable method for preventing and containing the infection. The recommended thing to do as a chicken pox prevention measure, besides quarantining the infected person, is to avoid sharing any items with him till his condition is no longer infectious. Are You Susceptible To Chicken Pox? Chicken pox is highly contagious, and certain people are more prone to the disease than others, as it has been mentioned below in detail. Learning about one’s susceptibility in advance can help in adopting chicken pox prevention measures in a faster manner. People who live or work in places where chicken pox transmission is likely and can readily occur if any person gets infected. For example, teachers of young children, family members sharing a household with an infected person, healthcare workers, hospital staff, etc. These high risk candidates can be protected through immunization with Varicella Zoster Immune Globulin or VZIG. This vaccine first became available in 1978 when it was licensed for use by the U.S Food and Drug Administration’s Office of Biologics. VZIG is prepared from normal, voluntary blood donors, whose bodies are found to contain high antibody levels to counter the chicken pox virus. While chicken pox prevention is best accomplished with vaccination, other precautions and preventive measures must not be ignored, as there are high chances of the chicken pox virus spreading through infected people. Chicken pox, caused by the chicken pox virus, is an infection that involves the development of a very itchy red rash all over the body, and includes flu-like symptoms too. It occurs mostly in children and on rare occasions, in adults. Chicken pox is a mild but highly contagious disease caused by the Varicella-zoster virus. Nowadays, children can be protected from the chicken pox virus by the Varicella vaccine, which first became available in 1995. The key symptom indicating chicken pox is the appearance of red spots on the body. These spots turn into liquid-filled blisters and are extremely itchy, and eventually, they dry and fall off. This process is called crusting and scabbing. The incubation period of chicken pox is around 10 to 21 days. Before the rash appears, you could develop flu-like symptoms like fever, malaise, sore throat and stomach ache as mentioned before. The rash becomes visible after 1 or 2 days. During the course of the disease, new spots appear every 5 to 7 days, and each crop of spots goes through the same cycle. The rash tends to appear on the upper back, face and neck, and then spreads to the rest of the body. These symptoms of chicken pox appear 10 to 21 days after the individual comes into contact with someone who’s carrying the disease. Chicken pox is an airborne infection, so you can contract the disease if you are exposed to an infected person coughing or sneezing around you. You can also get infected if you come in contact with the liquid that fills the blisters of an infected person. People with chicken pox usually carry the disease until their rashes have dried, crusted, and scabbed over. You can read more about chicken pox causes here. You should see a doctor as soon as you suspect that the signs you are seeing could be chicken pox. This is because a doctor can easily diagnose chicken pox by examining the rash and by noting the presence of accompanying symptoms. If there are visible key symptoms like mild fever, followed by an itchy rash, blisters and scabs, the condition can easily be diagnosed as chicken pox. Laboratory tests can help confirm the diagnosis too. Trim your fingernails or cover your hands with gloves to prevent scratching, as this can lead to scarring and other secondary infections. Apply wet towels to the skin to ease the itchy sensation. Keep your skin clean by washing it regularly, and then apply lotion (like calamine lotion) to soothe the itching. Wear cool, light, and loose bedclothes. Never use aspirin to reduce the fever, as this could cause serious complications involving the liver and brain. Instead, you can use Acetaminophen i.e. paracetamol. Your doctor will prescribe the antiviral medication Acyclovir within the first 24 hours of the rash as chicken pox treatment. 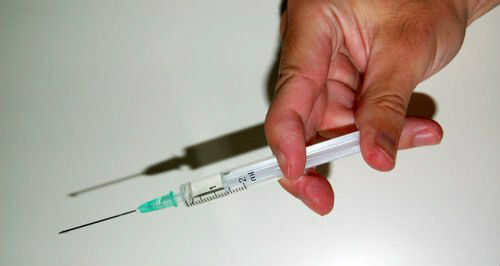 A Varicella vaccine is now available to help protect children from chicken pox. The chicken pox vaccine should be given when the child is 12-15 months old, followed by a second dose at least 3 months later to up to 4 years of age. Sometimes a child may still get the disease despite being vaccinated, but in such cases, the symptoms will be milder. Chicken pox is difficult to avoid, as the disease is airborne and very contagious. Its spread can be prevented by isolating the patient. If you think you or your child might have been exposed to anyone with chicken pox, you should see a doctor without fail. Immediate preventive measures taken could preempt the disease or, at least, lessen the severity of the symptoms if it does occur. There are a few other methods of chicken pox prevention that you can use to protect yourself from contracting the disease. If you have been infected with the chicken pox virus, it is ideal to take the prescribed medication and follow the recommended soothing measures, while also taking plenty of rest.